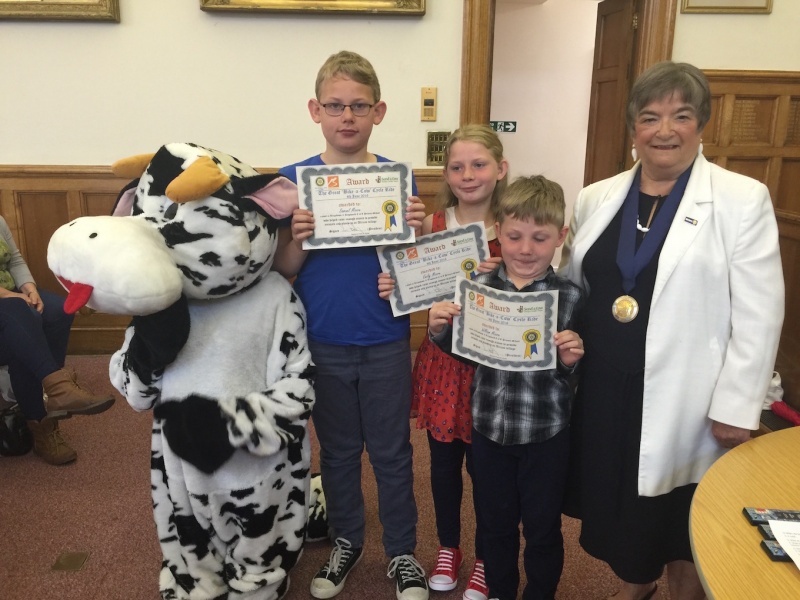 Representatives from Send-a-Cow (Sue & Chris Elliott) together with Dave Lister (AKA 'Daisy the Cow') made presentations to all eight schools and we estimate we addressed almost 2000 children. 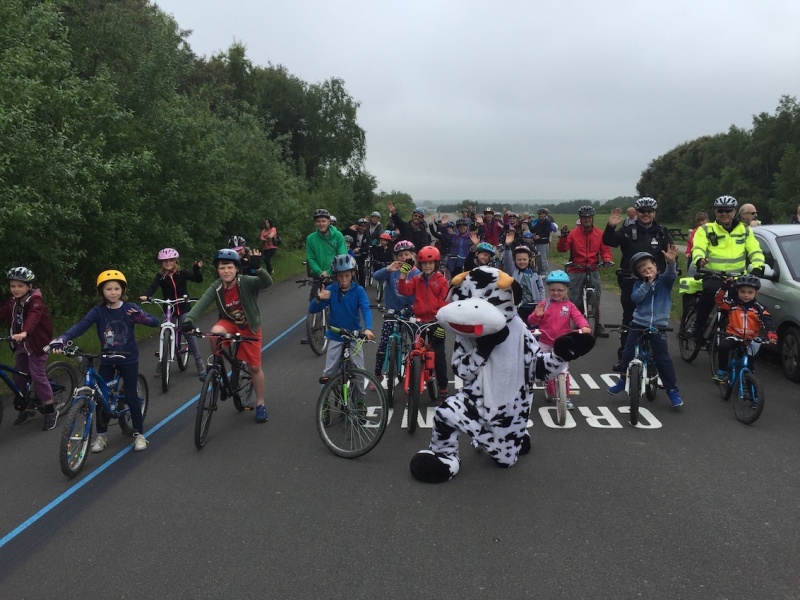 Despite the interest and excitement from the children, the actual number turning up to participate in the event was just 45 - notwithstanding this, all of the children seemed to enjoy the event. Sponsorship money will be collected and it is intended to invite Sue & Chris Elliott to attend a future Club meeting to receive a cheque for the proceeds of the event. Thank you for organising such a lovely event, my Granddaughter, Bella and I had a great time. Bella loved Daisy -Well done you!! 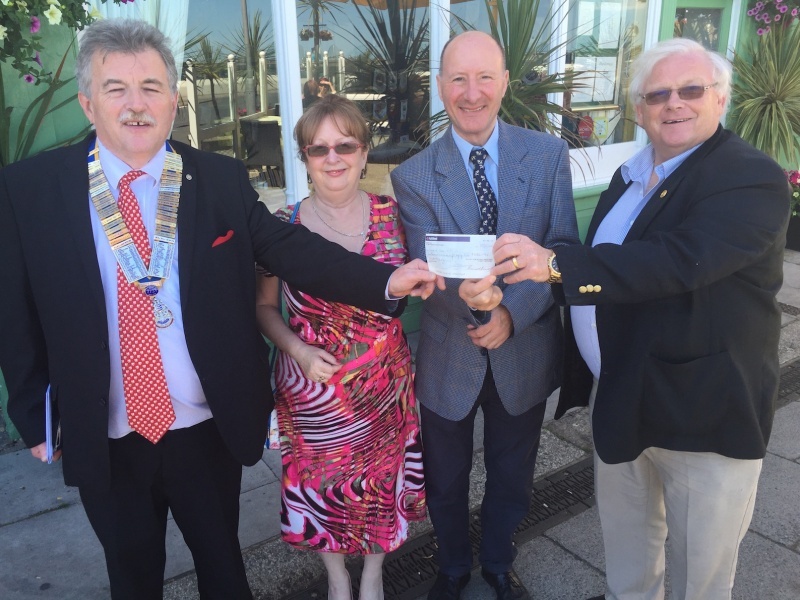 Thanks to you and all Deal Rotarians for organising the cycle ride at Bettshanger yesterday. 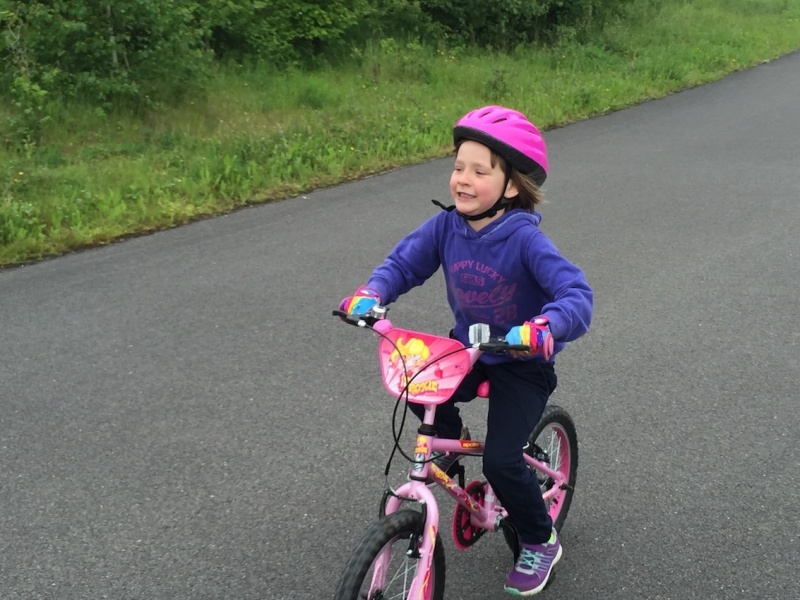 Very well organised and great to see Daisy on two wheels! My daughter Kate really enjoyed the morning. 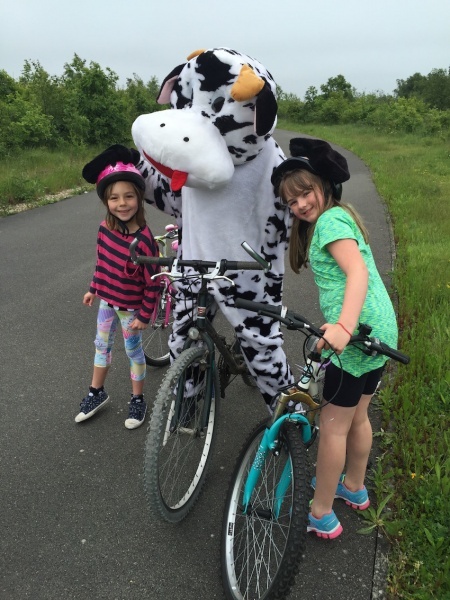 The talented 'Daisy' taking time out to have 'her' photo taken with the children (Daisy rode the bike around the track in his/her socks !) - Clearly the star of the show ! 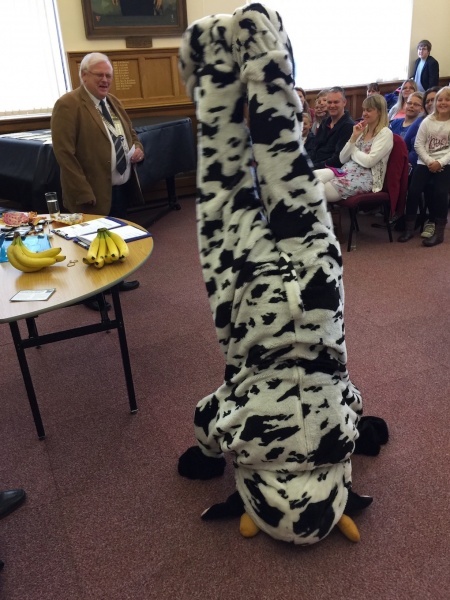 'Daisy' the cow, showing her agility, with President Ian Dunkerley looking amazed!